To explain the Florida (place of finding) Avocado Wand, it is best to refer to a blog I wrote two years ago and is still available to read. 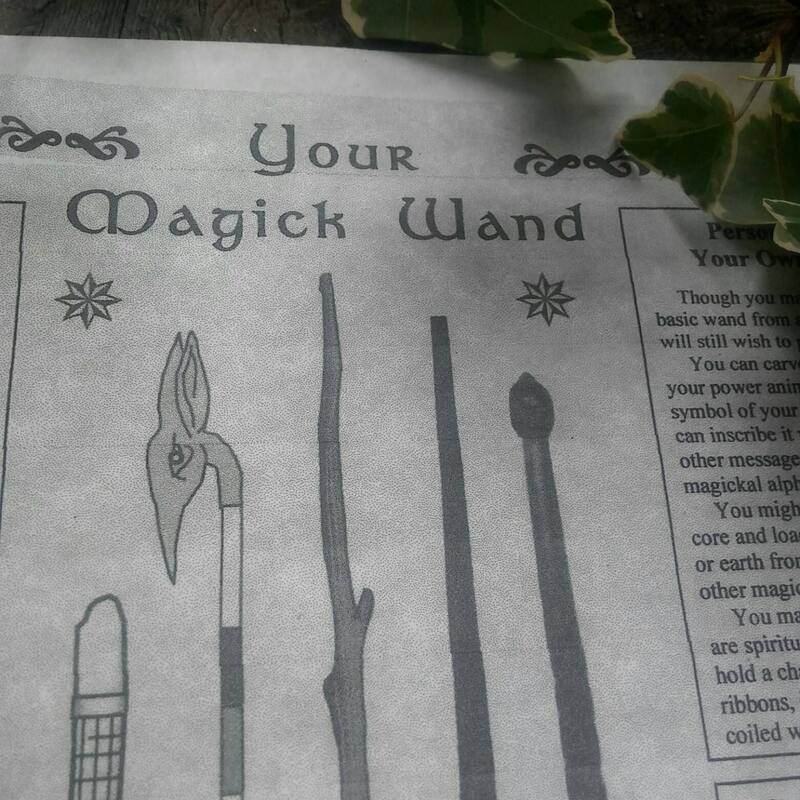 Before I go into that, this wand is 30.5cm (13 in) long. 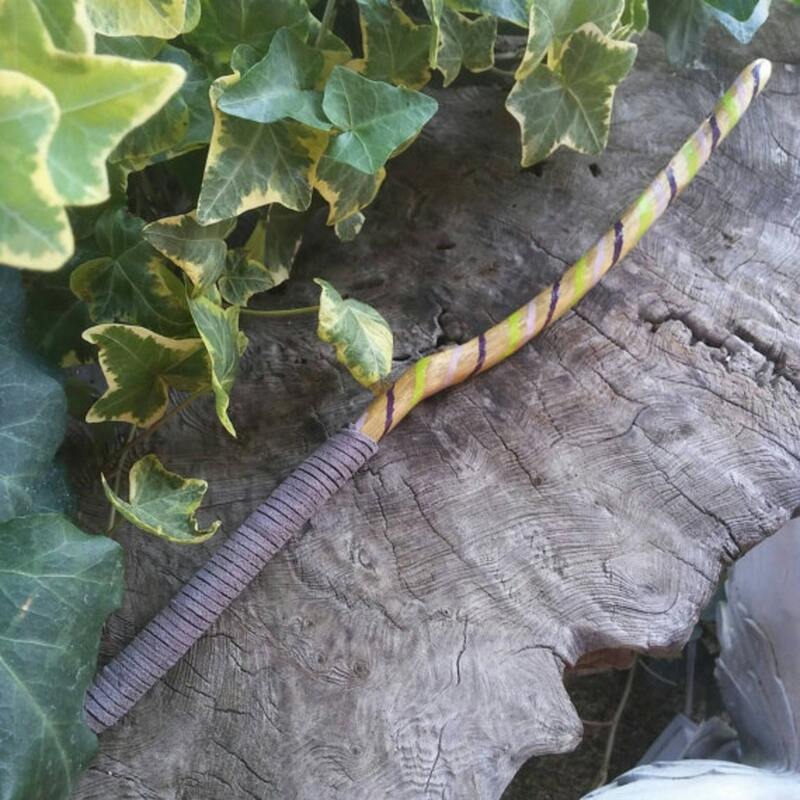 It is made by my eldest daughter, Rhiannon, and she chose to use a more fanciful approach with this wand than we normally take to make a Fairy Wand. She painted green and black swirls around the wand and added a coat of lacquer. Then she added the grey leather binding for the handle. There is more to it but some parts I thought best to leave out just in the event somebody tried it out themselves. The Egyptians made WANDS! and out of Avocado! I can certainly understand why because this wood is a dream to work with after fighting the knots and bark off from Oak...and the surface is almost silvery looking with such a lovely smoothness and an aroma when sanding not unlike that of Rosemary. I hear that the leaves smell like Anise when rubbed but I haven't had that pleasure yet. Free shipping to US customers. If you are in a different country we ship Priority International for $26.95. You can estimate your total in your currency by using the Google Currency Converter which should not vary much, as the exchange rates only vary by a few pennies here and there. You will also be sent a 10ml pot of our own Speaking of Witch Wands Beeswax Wand Polish (also shown here: http://etsy.me/2aOb6oD) at no additional charge. This is a one-off wand and will not be repeated, as is with all of our wands. You will also be sent a 10ml pot of our own Speaking of Witch Wands Beeswax Wand Polish (also shown here: http://etsy.me/2aOb6oD) at no additional charge. 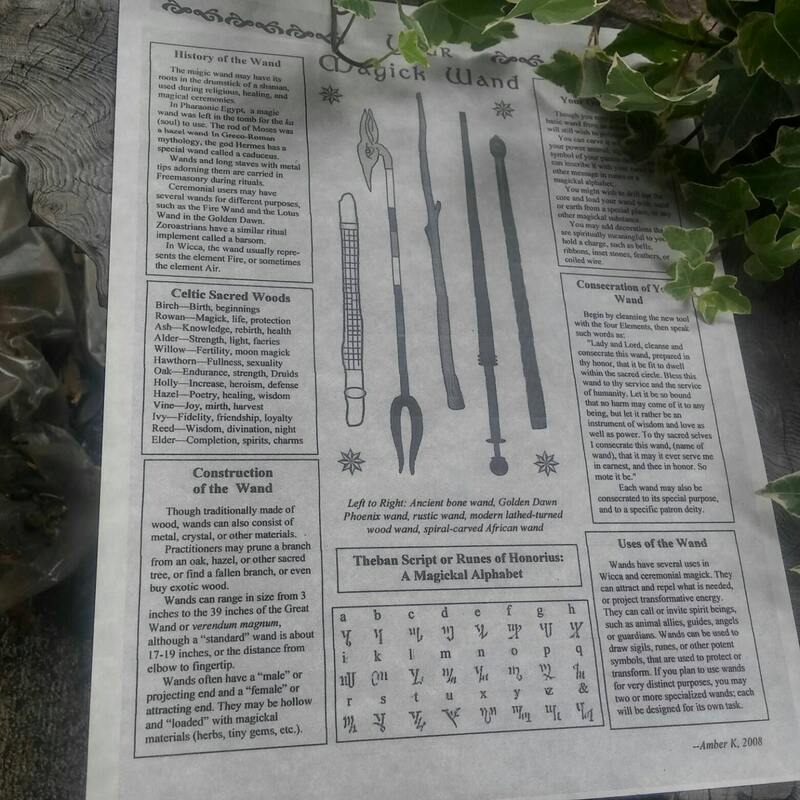 We now also include a parchment with loads of information on wands, such as history of wands and how to consecrate your new wand.